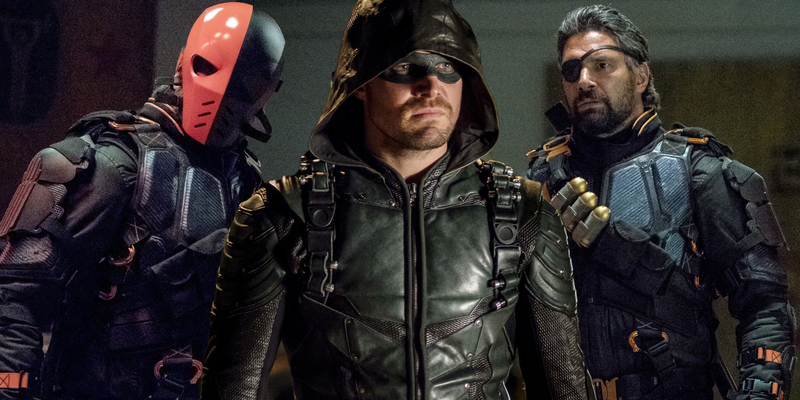 Stephen Amell thinks Oliver is open to working with and even trusting Slade Wilson on Arrow season 6, but some wounds cut too deep to completely heal. It has been several seasons since Slade terrorized Oliver Queen, Team Arrow, and Star(ling) City as Deathstroke. Since then, the sword-wielding villain has been behind bars on Lian Yu, until his former fellow island internee came asking for help with Prometheus, a threat even more vexing for the now-veteran hero than Slade was for the nascent vigilante in season 2. This entry was posted by Screen Rant on November 15, 2017 at 12:07 am, and is filed under TV News. Follow any responses to this post through RSS 2.0. You can skip to the end and leave a response. Pinging is currently not allowed.